Covering about 8,000 kilometers and a series of trade and cultural transmissions, the Silk Road was an interconnected network connecting Asia with the Mediterranean world, as well as North and Northeast Africa and Europe. Recently, China updated this term to the "new Silk Road" and launched a corresponding strategy, which includes the establishment of the Silk Road economic belt as well as the Maritime Silk Road, which is known as the "one belt, one road" strategy. This strategy has received an active response from many countries along the road and once again made the Silk Road a global focus. Studies on the topic have surged and a new discipline called "Silk Roadology" has emerged. 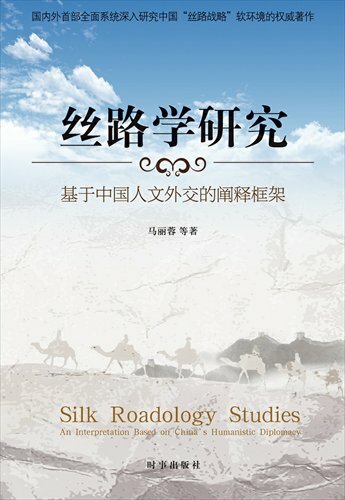 Ma Lirong, professor and deputy director of the Middle East Studies Institute under Shanghai International Studies University, recently published a book, Silk Roadology Studies: An Interpretation Based on China's Humanistic Diplomacy, in which she discusses this newly emerged discipline from the perspective of the humanities. Ma highlights the importance of humanistic diplomacy, saying that the essence of international exchange is the communication and contests between different humanistic values because humanistic diplomacy is the most direct and common means of communication. Hence, the Silk Road, in Ma's eyes, is not only a public good, but also a cultural route. Currently, problems, including unclear strategic intentions, a distorted national image and a lack of capability in providing public goods, confine China in carrying out its new Silk Road strategy. Unlike Western powers such as the US or the UK, who control global media discourse and have an advantage due to the wide use of English, China is just an emerging country without media discourse control or a heritage of colonization on the global stage. Against such backdrop, Ma points out that humanistic diplomacy can help China in creating a healthy soft environment for the carrying out of its new Silk Road strategy. Guided by humanistic diplomacy, the relationships between China and countries along the road will be more like partnerships instead of alliances, which seems much less threatening and more easily understood. Actually, since China put forward the new Silk Road strategy, external misunderstandings and suspicions have become increasingly rampant. Some Western analysts claimed that the new Silk Road strategy represents China's "ambitious" goal of economic expansion. In such a case, Ma's points unconventionally shift the focus of the strategy from economics to cultural communication. Nonetheless, the building of the "one belt, one road" is a grand strategy and its implementation process calls for detailed plans and research. Therefore, it remains to be seen whether humanistic diplomacy can really play a substantive role.